Concealed, tub and shower, or shower only combination mixer with battery operated, LCD temperature display for use in shower applications. Features AAA alkaline battery for years of continuous life. 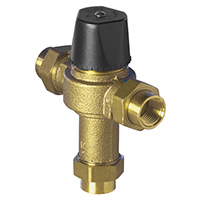 Rugged, brass valve body construction with paraffin actuator protects against temperature and pressure changes. Internal components resist lime buildup and corrosion. Adjustable handle rotation stop reduces risk of handle overadjustment. Opens in cold water position to maximize bather safety. Battery and temperature display are housed in an easy-access, watertight enclosure. Concealed or exposed thermostatic water mixing valve for use on shower and tub/shower installations. Powerful advanced thermal actuator compensates for both temperature and pressure fluctuations. 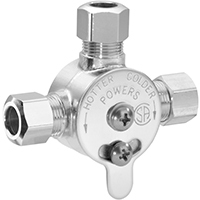 Thermostatic water mixing valve for use on shower and tub/shower installations. Powerful advanced thermal actuator compensates for both temperature and pressure fluctuations. A built-in adjustable temperature limit stop reduces chances of accidental scalding due to over adjustment of handle. 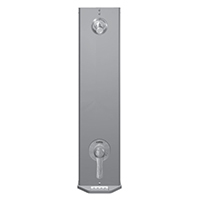 Heavy cast-brass body, integral checkstops, durable stainless steel faceplate, ADA compliant lever handle, and corrosion-resistant material ensure years of trouble-free service. The Series e700 HydroGuard&reg; T/P automatically mixes hot and cold water to deliver blended water within a specified range. Using an advanced thermal actuator, the Series e700 quickly compensates for temperature fluctuations induced by water temperature and pressure changes. Flow Rate: 4.0 gpm Series e700 HydroGuard T/P automatically mixes hot and cold water to deliver blended water within a specified range. Using an advanced thermal actuator, the Series e700 quickly compensates for temperature fluctuations induced by water temperature and pressure changes. In the event of cold water failure, the thermostatic motor virtually shuts off the flow of hot water. HydroGuard T/P meets the most stringent performance criteria for temperature and pressure changes, defined by ASSE 1016 (Type T/P). 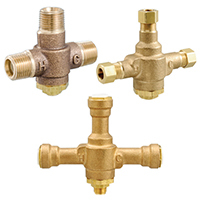 Featuring heavy, cast-brass construction and an adjustable brass to brass high limit temperature stop, self contained cartridge, corrosion resistant internal component, integral checks, and back to back shallow wall installation capacility. All parts of the e700 Series valve are accessible from the front of the valve. All Series e700 valves open in the cold water position to ensure maximum bather safety and comfort. The accuracy, reliability and water economy of the Series e700 HydroGuard T/P make it preferable for applications that require precise, consistent water control: showers, baths, hospital hydrotherapy and residential areas. All e700 valves meet the Americans with Disabilities Act (ADA). 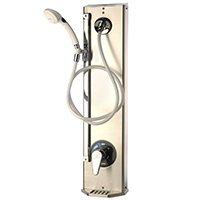 The Biltmore 900 Series provides near instantaneous response to changes in both hot and cold supply line pressure, assuring the bather of a safe, comfortable shower. If either supply pressure fails, the 900 shuts down immediately. Concealed, 4-port, pressure balancing water mixing valve for use in shower and tub/shower applications. Cast-brass body features diaphragm-type pressure balancing mechanism. Internal parts constructed of lime-resistant Delrin 500 for years of trouble-free service. Built-in adjustable temperature limit stop reduces the chance of thermal shock from overadjustment of handle. Cast-in checkstops reduce installation time. Unique construction allows for shallow wall installation in as little as 51mm (2 in.). Back-to-back installation possible in only 102mm (4 in.) without costly cross-piping. The Series PB410 Hydroguard® is a pressure-compensating mixer, which delivers a predetermined water temperature, compensating for pressure fluctuations in the hot or cold water supplies. Pressure balancing water mixing valve for use on shower and tub/shower installations. Use diaphragm type chamber to prevent lime build-up. Adjustable limit stop reduces possible over-adjustment of handle. 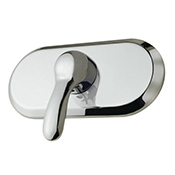 Heavy cast bronze body, chrome plated die cast face plate, ADA compliant lever handle, and corrosion resistant material throughout ensure years of trouble-free service. The Series e427 and e428 HydroGuard® valves automatically mix hot and cold water to deliver blended water at any desired temperature within a specified range. The assembly contains an advanced thermal actuator which maintains the selected water temperature within rigid tolerances despite temperature and pressure fluctuations in the water supply. Construction features include a built in shutoff valve for delivery water, a poppet type mixing valve, a concealed adjustment for raising and lowering the temperature range, and corrosion resistant parts. The Series e427/e428 Hydroguard is simply constructed. All parts are accessible from the front, to facilitate cleaning and maintenance. The Series e427/e428 Hydroguard is preferred for a wide variety of applications because of its accuracy, reliability, and economy of water and energy. It is chiefly used in showers, baths, hospital hydrotherapy and residential areas, where precise, consistent water temperature is required. 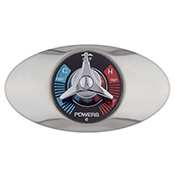 The Powers ESP (Electronic Sensor Plumbing) Touchless Shower System uses solid state electron - ics to deliver tempered water to a single shower head. Hydroguard ESP infrared shower systems rely on infrared technology to sense the presence of a user and to immediately turn on the water supply, all with hands free operation. The shower automatically shuts off when the bather steps out of the invisible infrared beam, or when the maximum shower runtime has been reached. Hygiene: With today's concern about health and welfare comes demand for plumbing fixtures operational without being touched. 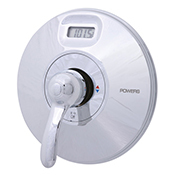 With no buttons to push or handles to turn, users can shower without having to touch any potentially contaminated shower controls or fixtures. Reduced Water Use: Water shortages and concern for the environment has sparked concern for minimizing water use and waste. With electronic sensor plumbing technology, the water runs only when actually needed by the user. You save not only water usage, but the energy used to heat the water and the sewage costs to remove the water too! Reduced Maintenance: Traditional metering valves are often prone to high maintenance and mechanical failure, because of their small orifices. Electronic products are much more reliable with the use of proven solenoid valves, solid state electronic technology and vandal resistant sensors. 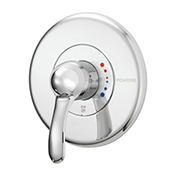 The Powers' ESP (Electronic Sensor Plumbing) Pushbutton shower systems rely on Piezo sensor technology to deliver tempered water to a shower for a predetermined length of time. The shower automatically turns on when the bather depresses the pushbutton, and automatically shuts off when the bather depresses the pushbutton again, or when the maximum shower time has been reached. 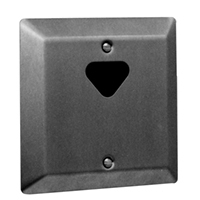 The sensor assembly and solenoid connects to a modular control box, of rugged polycarbonate, which is easily mounted behind the wall or in the ceiling. The control box features a unique, easily adjusted potentiometer for quick adjustment of maximum run time from 0 to approximately 7 min. The shower system also features a rugged non metallic solenoid assembly with a straight through flow path, allowing a wider flow range than most other solenoid valves. In addition, the solenoid is slow closing to minimize the chance of water hammer. All components feature unique modular jack connections, similar to those found on your telephone, to make installation a virtual snap. 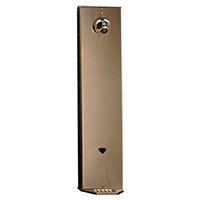 All showers are supplied complete with the proximity sensor assembly, pushbutton assembly, 24VAC transformer (plug in or box, as specified), 24 volt AC solenoid valve, control box and appropriate mounting hardware. The Powers ESP (Electronic Sensor Plumbing) HydropanelTM II Infrared Shower System combines the convenience of modular shrouding with the benefits of solid state electronic water control. The HydropanelTM II stainless steel shrouding provides a concealed shower system where in-wall piping does not exist or may not be practical. The ESP Infrared Shower System relies on infrared technology to sense the presence of a user and deliver tempered water to the shower with completely hands free operation. The ESP HydropanelTM II is ideal for new or retrofit applications in schools, health clubs, correctional facilities, remodeled buildings - anywhere space, hygiene and water conservation are concerns. Tempered water can be supplied to the ESP Hydropanel units by a master mixer such as the Powers Hydroguard 430 thermostatic mixing valve or Hi-Lo Cabinet Supply Fixture. The ESP Pushbutton Shower System relies on Piezo sensor technology to deliver tempered water to a shower for a pre-set length of time. HydroPanel II Piezo Shower System combines the convenience of modular shrouding with the benefits of solid state electronic water control. Modular Design: The Hydropanel II™ is a shower system with the stainless steel shrouding that covers and protects the exposed piping. Installation requires minimal hardware: just mount the brackets, connect the supply water to the prepiped solenoid and hang the shrouding. Water Conservation: With electronic sensor plumbing control, water runs only when actually needed. The shower automatically turns on when a bather presses the pushbutton and automatically shuts off at the preset run time or when the bather presses the pushbutton again. Reduced Maintenance: Traditional metering valves are prone to maintenance and mechanical failure due to component wear, lime buildup and vandalism. Electronic Sensor Plumbing systems are much more reliable with proven solenoid valves, solid state electronics and vandal resistant sensor assemblies. The HydroPanel II units can be used for new or retrofit applications, such as single showers or for complete shower rooms. HydroPanel II Series 450-4000M Shower System combines the water control of metering valves with the convenience of modular shrouding. HydroPanel II's stainless steel shrouding provides a concealed shower system where in-wall piping does not exist or may not be practical. 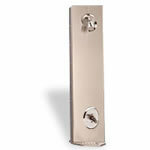 The single unit shower mounts easily onto preassembled copper tubing with just three screws. Behind the shroud, a mechanical metering valve delivers pretempered water to a showerhead. With the push of a button, the metering valve opens to allow water flow for a pre-set time (up to 60 seconds), then automatically closes. The button can be pushed at any time to restart the timer. Tempered water can be supplied by a master mixing valve like the Powers HydroGuard 430 Thermostatic Mixing Valve or Hi-Lo Cabinet Supply Fixture. HydroPanel II Series 450-0410P Shower System combines pressure balanced water control with the convenience of modular shrouding. The HydroGuard® PB410 features heavy cast brass construction, a poppet-type equalizing valve as part of a replaceable cartridge. The poppet-type construction offers a distinct advantage in that it will not stick because of lime buildup or foreign particles in the supplies. The metal-to-metal temperature limit stop prevent acciden- tal scalding caused by over adjustment of handle. It also features integral checkstops. HydroPanel IITM comes complete with stainless steel shrouding, PB410 valve, piping, end cap and mounting hardware. Some models feature a stainless steel soap dish. Some models feature an ADA compliant lever handle. An optional hand shower comes preassembled. The Powers HydroPanel® II Series 450-4000 Shower System combines pressure balanced water control with the convenience of modular shrouding. Behind the shroud, a Biltmore 900 valve uses a proven poppet/diaphragm cartridge to balance hot and cold water supply flows. Installation requires minimal hardware: mount the brackets, connect supply piping and hang shrouding. All exposed surfaces are easy to clean stainless steel or chrome plated. The Celcon® balancing cartridge provides maximum protection against lime and dirt build up. 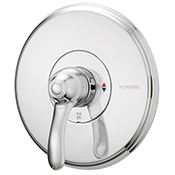 Fixed (vandal resistant) and swivel showerheads are available. Single handle control and color coded dial offer quick and easy temperature selection. HydroPanel II Series 450-420E Shower System combines HydroGuard T/P water control with the convenience of modular shrouding. HydroPanel II's stainless steel shrouding provides a concealed shower system where in-wall piping does not exist or may not be practical. The single unit shower mounts easily onto preassembled copper tubing with just three screws. Behind the shroud, a HydroGuard e420 valve uses a thermal actuator to provide tempered water and adjust to supply water variances. The powerful thermal actuator quickly senses any change in hot or cold supply pressure or temperature and responds to maintain the user-selected temperatures. The motor will also shut off the hot water if the cold water supply pressure fails. HydroPanel II Shower System with HydroGuard T/P Series e700 valve combines water control with the convenience of modular shrouding. HydroPanel II's stainless steel shrouding provides a concealed shower system where in-wall piping does not exist or may not be practical. HydroPanel II comes complete with stainless steel shrouding, Series e700 valve with checkstops, piping, showerhead, end cap and mounting hardware. Some models feature a stainless steel soap dish. 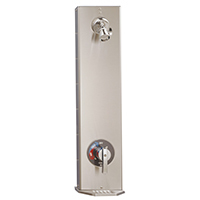 An optional handshower comes pre-assembled with a full spray pushbutton handshower, 60 in. hose, 18 in. mounted glide-bar and connectors. The Series e700 valve is CSA approved and ASSE type T/P listed. 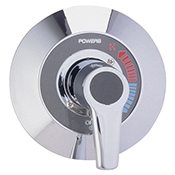 Designed for lavatory applications where the temperature of hot water must be controlled for safe, economic use. An advanced thermal actuator quickly senses and compensates for outlet temperature fluctuations induced by water temperature and pressure changes in the supply line. The Series LFLM495 features Powers' advanced paraffin-based actuation technology, integral checks and inlet screens to prevent cross-flow and contamination. Rugged construction features solid Lead Free* brass body and corrosion-resistant internal components ensuring years of dependable, trouble-free service. Temperature adjustment handle is simple to adjust and has a locking mechanism to prevent tampering. The HydroGuard Series LFLM495 is ASSE 1069 and 1070 listed and CSA B125 certified. 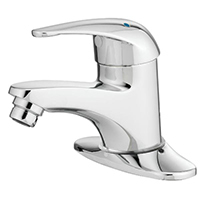 Designed for lavatory applications where the temperature of hot water must be controlled for safe, economic use. An advanced thermal actuator quickly senses and compensates for outlet temperature fluctuations induced by water temperature and pressure changes in the supply line. Rugged construction features solid Lead Free* brass body and corrosion-resistant, internal components ensuring years of dependable, trouble-free service. Temperature adjustment stem is simple to adjust and has a locking nut to prevent tampering. The HydroGuard Series LFe480 meets the most stringent performance criteria for temperature and pressure, defined by ASSE 1070 and CSA B125. 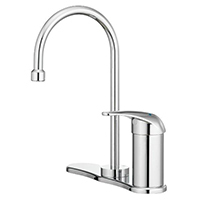 Under-the-Counter mechanical mixer with 3/8 in compression inlets/outlet and integral checks for lavatory applications. Series 105 and 115 TempTAPTM thermostatic faucets feature an advanced thermal actuator to provide the latest in thermal protection. 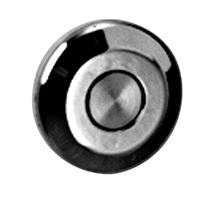 The single-lever cartridge, with integral ceramic discs, provides both temperature and volume control. TempTAPTM automatically mixes hot and cold water to deliver pre-set water within a specific range. In the event of cold water failure, the thermal actuator virtually shuts off the flow of hot water. TempTAPTM is listed to ASSE 1070, IAPMO cUPC, and NSF 61 Section 9 Annex G.
Series 205 and 215 TempTAPTM thermostatic gooseneck faucets feature an advanced thermal actuator to provide the latest in thermal protection.